Do youI feel lucky? Well, do you punk? I tend not to focus on individual companies because there are so many variables surrounding each company that influence the share price. For me, it's much easier to spot long-term trends that influence all asset prices (including stocks and bonds). That being said, Facebook remains on everyone's screen since the bank's decided to give up defending the $38 IPO price. It wouldn't surprise me if the stock was $45 or $20 in a week because Facebook is going to be a stock driven by emotions. People paid a huge premium at the IPO for the chance that Facebook will earn a great deal of money 5 years from now. What's particularly scary is that this was supposed to be the stock that brought the "little guy" back into the stock market. The business isn't complicated like Cisco or ExxonMobil so it has broad retail appeal. Many investors use Facebook and that makes them think they are instant equity analysts when it comes to the stock. However, when some bad quotes crossed my screen on the morning of the IPO (some German quotes of 50,000 Euros valued the company at more than all of the economies of the world combined) I knew that the little guy was going to have a tough time with this IPO. The stock as cracked it's IPO price and it literally can't catch it's breath now (down another 9.6% just today). At some point in the low-mid 20's there will be buyers of the stock and eventually they may outweigh the sellers, but we have not reached that point yet. More disconcerting for me would be the fact that 80 days close to a billion shares of that are currently subject to lock-up will become freely tradeable and if you are an insider at Facebook and you've seen the company fall in value 25% in a week maybe you'll try to diversify by selling a little more Facebook. The major money managers have nowhere else to go. Europe is a trainwreck, China is slowing, India is in freefall, etc, etc. So what is the big money manager to do? Invest in Japan (good luck) or the US. As money flows into the same, "safe" investments (big funds in names like Apple are at an all time high) it will drive these names higher. There is a great deal of risk in this scenario if the global backdrop changes and everyone heads for the exits at once, but I think this is at least partially driving the action in the US today. How Facebook is destroying the US economy! Okay, I'll admit it. I'm trolling for eyes on the eve of the big Facebook IPO but this is an idea I've been toying with for some time. Can we blame Facebook for the dreadfully slow pace of the economic recovery? Now, I'm not talking about the normal sort of Facebook destruction - marriages, friendships, etc - or even the way it destroys the productivity of its users. I'm proposing that Facebook and all forms of electronic social networks, are changing the world in a way that no one has thought of before. I'm not a sociologist or anthropologist or even an economist, but here's what I do know : one of the key drivers of the US economic growth story over the past century was our incredible level of labor mobility. Increased levels of labor mobility have enabled the country to evolve from a nation of farmers to a nation of east coast cities to a nation with a strong industrial midwest to nation which could harness our energy resources in the Gulf Coast, etc, etc. In short, when times got tough people move where the jobs are. This was hard and painful for many families and friends that were separated by vast distances but you went where the work was because there were no other options. I also think we're experiencing a similar phenomena in the education world - thirty years ago, people went "away" to college but today many students feel the need to stay local to stay connect. Facebook and the other social apps do not allow people to cut the apron strings of home anymore. 1) Consider the college student that is struggling to fit in at her new school in North Carolina. In the past this student would stick it out, eventually find a couple of life long friends and treasure her time at college. Today, it's easier to log onto Facebook and feel like she never left home in Northern New Jersey. She connects with her old friends and longs to go to the Tick-Tock Dinner on Friday night. This nostalgia draws her back and prevents her from experiencing new opportunities in North Carolina. After graduation (or worse, before graduating) she returns to her hometown because the grass is always greener. 2) Consider the family that is struggling to make ends meet in a western PA town. Dad can easily find work in North Dakota or Idaho so he packs up the family and heads west. However, after a year of living in a Facebook bubble, the kids still consider their PA friends, their best friends and the family returns to face brutal job prospects but because they couldn't cut the apron strings the kids will be "happier". Now expand this thinking to a global scale and you'll see that increasingly people that were VERY prone to migration (Indians, Chinese, etc) are now feeling the same draws to stay local as a result of their Facebook networks. When my father-in-law immigrated to the US from India in 1973 his connection to his homeland was a monthly call home and an occasional letter. Thus, he became immersed in the culture of NYC and he became part of the great NY metro melting pot. However, imagine if he'd had Facebook where he could talk to his buddy from his old village every hour or hear about a wedding going on two towns over this weekend. The draw to give up when things got tough in a new country would be very strong and I suspect this is at least a partial reason why the US is experience reverse immigration as people are returning to their homelands in droves. Facebook users have virtual friends which in theory should make people more mobile, but I believe that the fact that users are constantly bombarded with info from their circle of friends is making our world less mobile. Can the US thrive in a world with families unwilling to move and where people of overseas are unwilling to leave their homelands? Well, right now the US looks pretty good compared to Europe and Asia but in the long run you need a flexible labor force to be successful. So, while it's a stretch to put all of this at the foot of Facebook it is my opinion that they are playing a part in the reduced labor force mobility in the US. PS - My expectation is the IPO will price at about $42 and trade up to $55 or so before settling around $52 but that's just a guess. The value of the company in my opinion is far, far below those levels, though. What's the story of the week - Greece or Facebook? * I think talk of a Greek exit form the Euro in the next month are premature but I think it is possible by September. * The major impact of this move would be massive outflows of funds from the "next in line" countries like Italy and Spain. We've seen this play out on a smaller scale in Greece where nearly 1/3rd of their deposits left the country over the last 2 1/2 years. The fear for large investors in countries like Spain and Italy is that their Euros get converted into a local currency. As more money flows out of a country the greater the likelihood the country will need a bailout, thus this becomes a self-fulfilling prophecy. The markets are really oversold now and due for a bounce, but the news flow won't let the markets come up for air. Okay, Facebook. So, last week we heard demand was weak and the deal was faltering. Now this week they've upped the price and increased the size of the deal. What's the truth? My hunch, having worked on various IPOs, is that they are both true. I suspect large institutional demand (from mutual funds, pension funds) is weak. However, I imagine that retail demand is off the charts and that is why they are increasing the size and price. A higher proportion of retail investors tends to cause more volatility in the stock and will make this very interesting to watch. Retail investors tend to buy what they know and they know they like Facebook. My 2 cents - The company understands it's end users but it can't figure out how to sell to them. GM pulling their Facebook campaign today is indicative of this problem. At the end of the day people should view facebook as a media company like Viacom because that's what they do - sell ads. Does that warrant being a hundred billion company overnight? Maybe, but I'm most concerned with my own anecdotal observations - fewer and fewer people 18-40 are active on facebook. It's become a haven for tweens and twetirees (my term for those boomers aged 50-60, not quite retired but counting the days). I don't have any nationwide evidence to back me up but I've heard from many people that they are wary of Facebook and prefer to text because they have a (false) sense of privacy in the the texting world. This is the kind of watershed event that can shift market sentiment overnight so we'll have to watch this IPO very carefully. 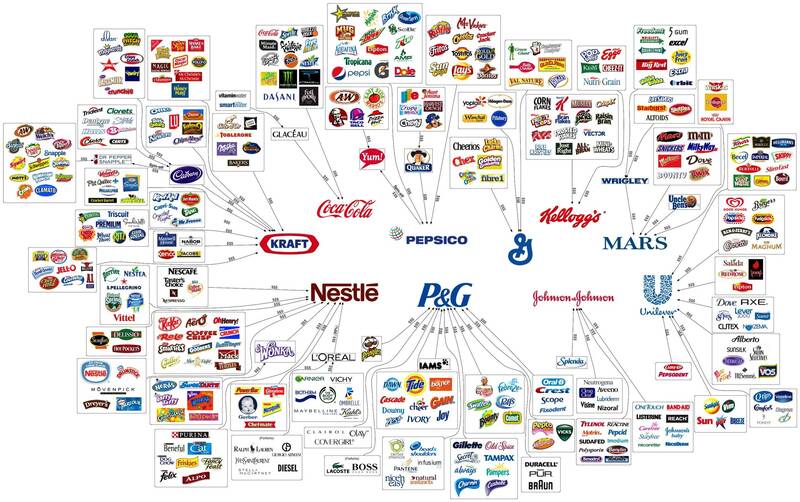 It shows how all of the brands that you know and love are really just components of much larger consumer products companies. I can remember having a conversation with a co-worker back in 2000 asking the question, "what if the US stock market enters a lost decade like Japan?". At the time, as stocks were soaring and brilliant business models like pets.com and webvan were being funded every day, so it seemed like such a silly question to even ponder but after looking up a number today it may not have been quite so silly. On May 17th 1999 the S&P 500 (the best and broadest measure of stock prices) closed the day at 1,339. Today, May 14th 2012, thirteen years later, the S&P 500 closed at 1,338. So not only have we had a lost decade, but we're 1/3rd of the way through a second lost decade. Now if you've been a nimble trader these have truly been the best of times. Rapid, breathtaking advances followed by equally heart stopping collapses. This is why adept traders and hedge funds are making huge money because the traditional methods of buy and hold are performing so poorly. However to get a sense of why this matters to you, consider one small segment of the market - pension funds. The typical pension fund has an assumed annual return on their investments that varies from 7% to 8.5% with the average somewhere around 8%. The ability of these pension funds to meet their obligations to retirees is contingent upon them meeting these investment returns. Historically, they have some up years and some down years, but over the long haul the hope is that they achieve a return that is close to their expectations. Let's take a simple set of assumptions to demonstrate what happens if a pension doesn't meet expectations. Assume a pension has $100 on year 1 and assumes an 8% annual return. By the end of year 1 the pension fund assumes a balance of $108 (assuming no new contributions, etc). By the end of year 2 that number jumps to $117 because you start earning returns on your returns. By the end of year 13 your $100 pension fund has grown to an impressive $272. Now, leave the world of financial textbooks and look at the US stock market for the past 13 years. If you operated like the traditional pension fund (buy and hold forever), you are likely flat from 1999 to today based on your investment returns. So how do you make up the difference? Well, you require the pension plan sponsors (state and local governments for example) to contribute more to the pension to make up the difference. This means less money for day-to-day operations for the plan sponsors. So, now you'll watch the market with a little more interest. On May 8th I threw out a tweet from @grindstone_fin that while I'm not chart reader, the charts are getting spooky. Well, the charts fulfilled that premonition today with their closing prices. I won't bore you with all of the crazy lines, weird names and goofy concepts, but suffice to say that the people that think past performance DOES indicate future performance will be very nervous at this point. The word buzzing around the web tonight is that today marked a MAJOR reversal of the uptrend. Having said this, the Facebook IPO later this week is going to be the financial story of the year to date and you can see the impact that the Facebook buzz is having on the market already (other web 2.0 consumer plays were up sharply today). I still don't get Facebook but maybe that's the old timer in me. It seems to be a fine consumer tool for a certain segment of the population (I question their usage rates among valuable 18-40 yr olds) but when I hear major advertisers questioning the return on their facebook ad spend I think it creates enough concerns that people should be cautious with the company valued at $70-$100 billion. Roughly 3 months ago, I gave up trying to provide unique insights into the world of finance and politics because Europe had decided that Greece was SAVED (again!) and markets had lost their grip on reality. Every day Apple, Priceline and the other highfliers were soaring $20-$30 and adding billions to their market cap. It was Mar 2000 all over again, but no one cared because it's too much fun making money for nothing. When a young buck trader asked "Has anyone ever seen a market like this? ", I calmly pointed to the 1998-2000 timeframe (when he would have been in 5th grade) and his mouth nearly hit the floor. Well, something has changed in the past 2 weeks and it's hard to pinpoint one specific catalyst for the change in sentiment but the change is real. * Let's start with Greece. The Germans appear to have to come to the realization that Greece can not remain in the Euro. The unrest all stems from a central idea that I've held since the beginning of the European crisis. The people of Europe are too proud to ever agree to the drastic austerity measures placed upon them by another country. Thus, they will keep voting out anyone who tries to change the way things have been for the past 30 yrs. This is the case in Greece and to a lesser extent in Germany and France. I understand their concerns but the alternative is not going to be any better for these countries and I don't believe their politicians are being honest with them on this front. If Greece can't come to some resolution (which looks highly unlikely), the terms of bailout 2.0 will not be met and Greece could plunge into default quickly. However, while the entire world is focused on Greece, my eyes are on Spain because their economy is MUCH larger and the impact of Spain's unraveling will be felt far and wide. Spanish debt insurance soared to record levels this weekend and if Spain becomes the story of the week we'll have some real fireworks. * China/India - I have some amazing insights into the Indian growth story after my recent trip to the region. I'll flush those ideas out in a series of posts later this week. The bigger concern on the minds of everyone seems to be slowing growth in China and India. China's PBoC cut their reserve ratio for the 3rd time in six months in an effort to spur the economy but I think they are pushing a string. The problem does not seem to be borrowing costs but rather end demand. The Indian Rupee has fallen to it's lowest level relative to the dollar in the past decade. If the great growth stories of the east suddenly get derailed look out for a rough summer. * One small bright spot is the fact that a weaker global economy usually means a stronger US dollar which means cheaper commodity prices. Oil has fallen sharply in recent weeks and that may translate to some more reasonable prices at the pump in the short-term.